Caroline Fetscher talked to Horst Bredekamp, Professor of Art History at Humboldt University in Berlin. A Story of two men: a teacher and a traitor. The art historian Erwin Panofsky (1892-1968), who emigrated to the U.S. in 1934 and then taught at Princeton, is considered one of the most eminent scholars of the 20th century. His postdoctoral thesis on Michelangelo, which was believed lost, has now surprisingly emerged in the basement of Munich’s Central Institute for Art History: in the papers of his student Ludwig Heinrich Heydenreich. The Institute is situated in the former administration building of the NSDAP, and the thesis was hidden in a large safe which once held the Nazi party’s membership files. Professor Horst Bredekamp, an expert on Panofsky’s work, discusses this bizarre story and its implications. How would you rank this manuscript in Panofsky’s oeuvre? What do you think it meant for him that his text was purloined? In many respects, the loss of this paper must have been significant for Erwin Panofsky. To that belongs naturally the biographical side, inasmuch as this paper enabled his career as a university professor. 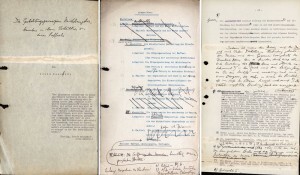 In addition, the manuscript will have incorporated the memory of a time in Hamburg, which, despite all the difficulties in building up the Institute of Art History at the time, especially since in the cooperation with Aby Warburg’s Library for Cultural Studies it was possible to provide one of the strongest impulses for the liberal arts. This impulse emerged from a deep and friendly cooperation between Jewish and non-Jewish scholars. One of the most influential personalities of the circle was the philosopher Ernst Cassirer, and another was Gustav Pauli, director of the Hamburg Kunsthalle. 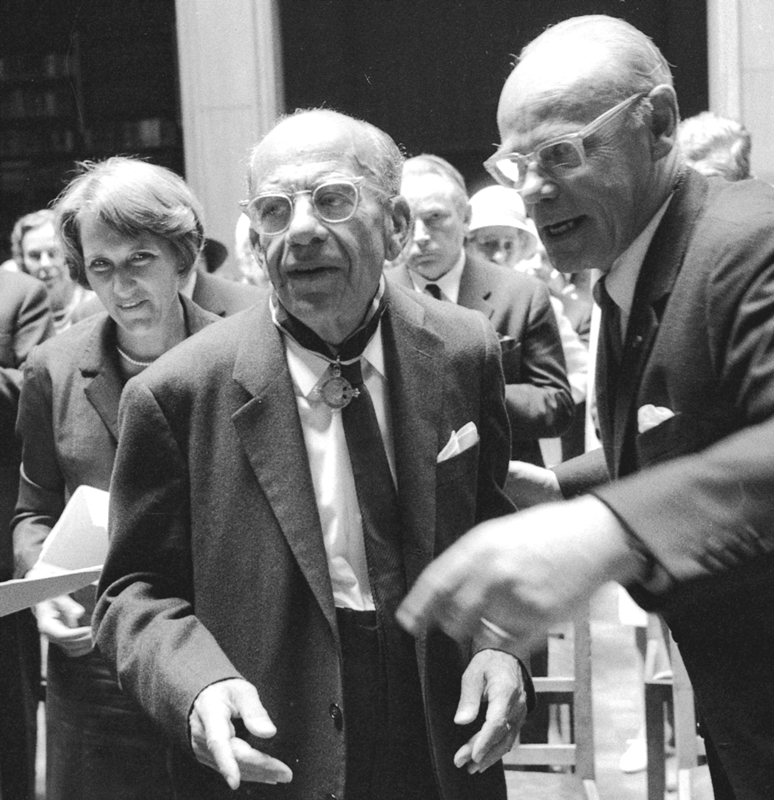 Both belonged to the commission that evaluated Panofsky’s paper, and it was Pauli who was the first to recognize Panofsky’s importance for the development of the University of Hamburg. Both shared a steadfast friendship, and Panofsky’s farewell letter to Pauli in 1933 is one of the most moving documents from this correspondence. Pauli’s evaluation, which was at the basis of my attempt to reconstruct Panofsky’s paper ‘ex nihilo’, is by itself a remarkable text. I have not yet been able to see Panofsky’s work, but from long conversations with his widow and from my own research it is evident that it is methodically of considerably high value. In his argumentation, Panofsky confronts Raffael with Michelangelo, extensively in the criteria of the history of forms according to the principles of Heinrich Wölflin, but he obviously highlighted Wölflin’s bipolar organized principles of style with a view of Michelangelo in their potential for conflict. This should not be seen by itself as an application of Wölflin’s method. It is an independent development. What is your opinion of Heydenreich, whom you describe as a “difficult character“? In which way is he problematic, and what could have motivated him to hide the manuscript? I made the acquaintance of Ludwig Heinrich Heydenreich, in whose papers Panofsky’s work was discovered, during my studies and at conferences, and I had the opportunity to speak with him. From the very first moment, my assessment of his person was ambivalent. He was unpleasant because his diction was authoritarian. But on the other hand, his being Panofsky’s student gave him unlimited credit. After Panofsky emigrated, Heydenreich in Hamburg maintained open, internationally-oriented teaching under difficult circumstances. Even more importantly, until 1937, he managed to let several students of Panofsky, despite strong opposition, obtain their doctorates. With his focus on Italy, Heydenreich was becoming a foreign body in the restructured University of Hamburg, so that his appointment to Berlin by Wilhelm Pinder in 1937 paradoxically led for him to some relaxation, at least in terms of the topics he could research. As to the reasons for Heydenreich taking the Panofsky manuscript, one can only speculate. It may never be cleared up. 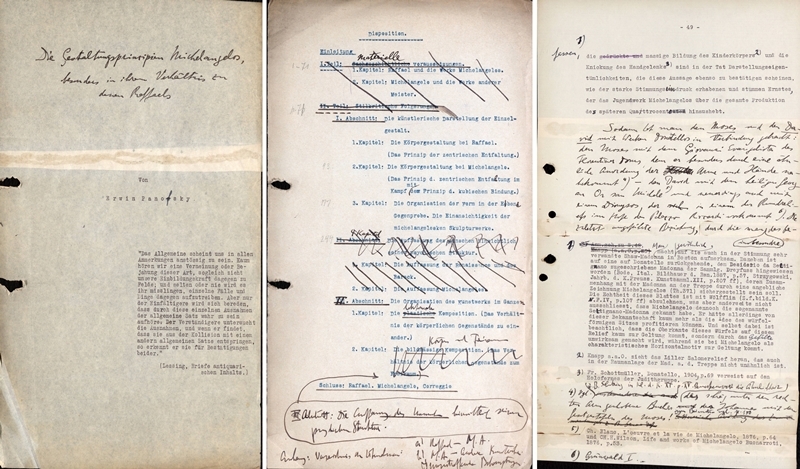 The strongest version speaking for Heydenreich is that he found the manuscript at a relatively late moment and kept it as a kind of relic so it wouldn’t fall into the wrong hands. If this is the reason, taking the manuscript would not be considered theft, but as a thoughtful way of making it secure. Somebody steals a piece of another’s life’s work. How can this be viewed among scholars, especially at the time? Although Heydenreich kept up contact with Panofsky after he had acquired the manuscript, he never told him about it. In that case, the worst that can be said of Heydenreich is that he did not send the paper directly or indirectly to Princeton. Even if he took the manuscript from Panofsky’s office in Hamburg, it is even more deplorable that Heydenreich kept silent and concealed it. Perhaps he thought it was too dangerous or risky to send it to Princeton, but there is no excuse for his not communicating to Panofsky, at least indirectly, that he was in possession of it. After concealing the theft, Heydenreich still had contact with Panofsky. Is it possible to understand how this could happen? Did he feel ashamed for his illoyal behavior about the manuscript, was it repression of the deed, or was it a rationalization of what he had done? It may be that after the war he felt shame that he had not chosen the earliest possible date to deliver the manuscript to its rightful owner. Bizarre in this process is the fact that Heydenreich repeatedly visited Panofsky in his house in America; he actually spent some days there, but never mentioned anything about the manuscript. The fact that Heydenreich urged Panofsky to finally write a book on Michelangelo, which everybody was waiting for, could be a part of the psychology of a perpetrator, who, for those around him invisible, is fixated on his own offense. But, to repeat, this remains speculation. Gerda Panofsky does not share her late husband’s appreciation for Heydenreich. Her report on the awarding of the Order Pour le Mérite to Panofsky told, long before the discovery of his paper, how tactically Heydenreich treated her husband. For him it was important to dispel the atmosphere of gloom resting on the architecture of Munich’s Central Institute of Art History, and, in a certain way, he seems to have succeeded. Panofsky had to accept the Order from the hand of a man who was known as “Hitler’s Thucydides”, Percy Ernst Schramm. Thus, he became an apotropäum, an antidote to the history of the place. What can the scholarly world expect from this manuscript? The scientific community has many expectations on the re-emerged manuscript. There are strong voices who expect little of the manuscript because it would be a purely form-historical treatise on the importance of Michelangelo. This can only be proven after a study of the text. According to my reconstruction twenty years ago, much more can be expected. Form analysts have repeatedly reproached Panofsky and with him the iconologic school that these betrayed the arcanum, the secret of the work of art by using a context-sensitive method. Panofsky and the representatives of the iconological school, however, never accepted the context-analysis of form and text. The unique way in which Panofsky seemed to have used Wölflin’s categories in his paper might offer the final argument to overcome the absurd bipolarity of this confrontation. Looking at it today, it seems that one can exclude the idea that Heydenreich plagiarized certain parts of Panofsky. His, Heydenreich’s, research was in other areas, and from the point of view of method there seems to be little that would link his work to Panofsky’s manuscript. Even taking this into account, Heydenreich’s conduct is inexcusable, especially considering that Heydenreich consistently proclaimed his highest regard for Panofsky.